I've mentioned numerous times how hair styling is not my thing. Whilst I love a visit to the hairdressers and I can manage an amateur curl my day to day styling is pretty minimal. 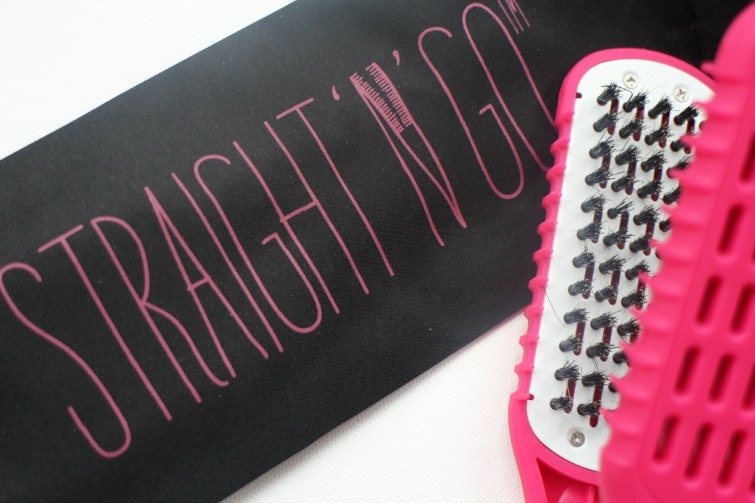 I've also never owned a pair of hair straighteners due to no desire nor need so I was interested to see what I would think of the Straight 'n' Go brush. 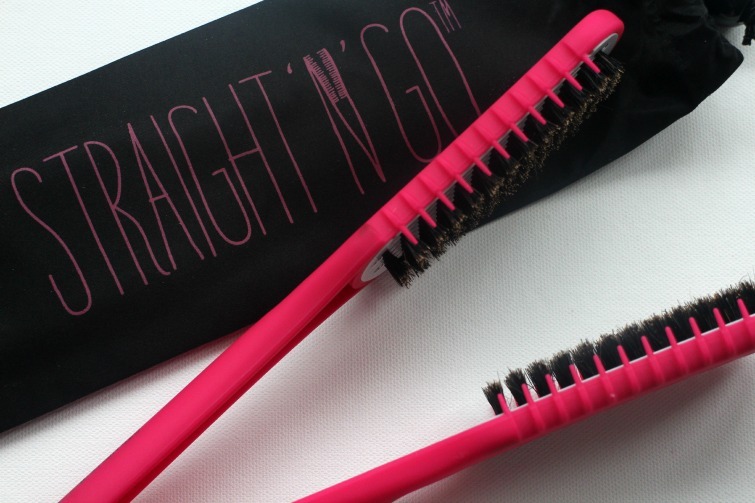 To look at the Straight 'n' Go you can obviously see it's hybrid of straighteners and brush. Ceramic plates for aiding hair straightening and a vented design to allow for fast drying. The brushes bristles are designed for untangling and the interlocking rows for creating shine. Hair should be slightly damp when using and then you use as you would a normal styling brush and hairdryer. As already mentioned I do not want my hair to be poker straight but am aware it would look somewhat better with some attention to detail but speed is of the essence when I'm getting ready for work in the morning. I've found using the Straight 'n' Go has been quick, easy and gives great results. Whilst I still like my Wet Brush for combing through to add some style to my hair the Straight 'n' Go does what it says on the tin. It's simple to use and not fussy at all. The only area I struggle with is the back and that's mainly due to the speedy process I adopt rather than attention to detail by sectioning the hair. I tend to just grab sections of hair with a tilt of the head and brush through with the hairdryer. This might seem a gimmick and something you don't need but I'd certainly say it's worth a try, especially if you want some sleekness to your hair rather than all out straightening. It's also far cheaper than a pair of straighteners and the perfect brush for travelling when you're concerned about plugging in appliances abroad. I've also noticed 'less frizz' from using the Straight 'n' Go which is definitely a plus point. The Straight 'n' Go certainly falls into the 'I didn't know I needed it till I tried it' category and I'm pretty glad I've been introduced to it. Does this sound like something you'd be interested in? I am certainly not up to date with haircare, but this does sound good. I just know I'll be too lazy for it though!